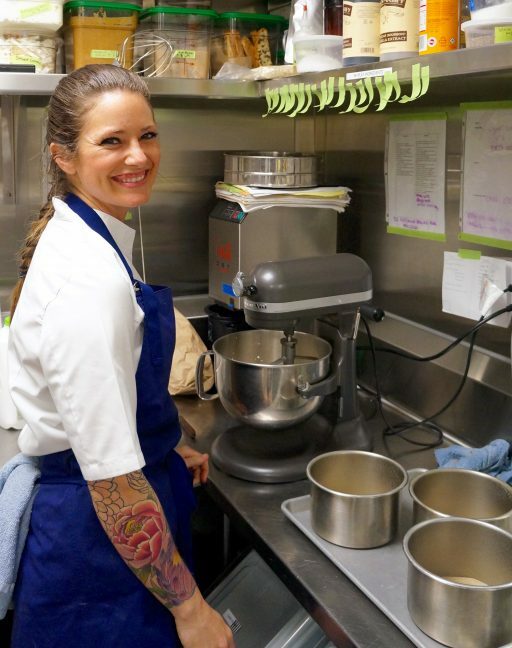 We were lucky enough to get 10 minutes with Pastry Chef Kate Sigel to chat about the cupcake craze, Irish butter, and being open to new experiences in our Q&A with Kate Sigel, the executive pastry chef at Thompson Seattle (AKA the mastermind behind Scout PNW’s famous cinnamon sticky bun). Where were you before joining us at Thompson Seattle? I moved here from Chicago – most recently working in a hospital with a bakeshop. It was strange and weird but good. Is this your first time working in a hotel? Yes! I was a little nervous – it’s a big undertaking and there are a lot of facets to it. I was scared, but I thought ‘I guess I don’t know until I try! And it worked out! How many new desserts do you create per week, month, or season? What’s your involvement in the Chef’s Counter Experience at Scout? 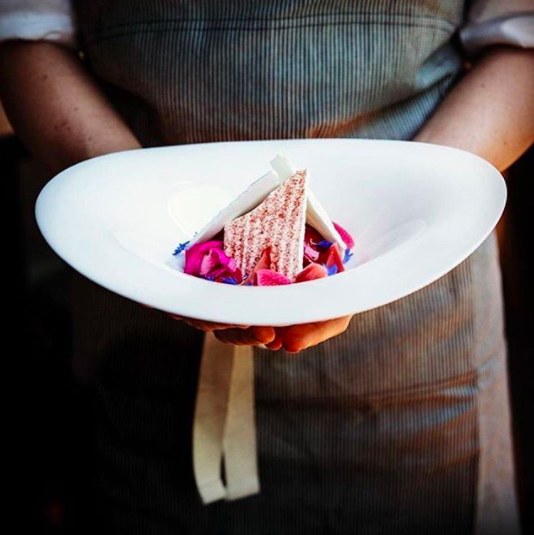 I get to collaborate with [Chef de Cuisine] Quinton to create cohesive things that go with whatever they’re doing. In the future? We may look at adding an additional dessert course or a treat for guests to take home with them. I like making the cakes: those are really fun. I like to create and play, that’s a really fun outlet for me. Do you have a large amount of flexibility with your creations at Thompson Seattle? 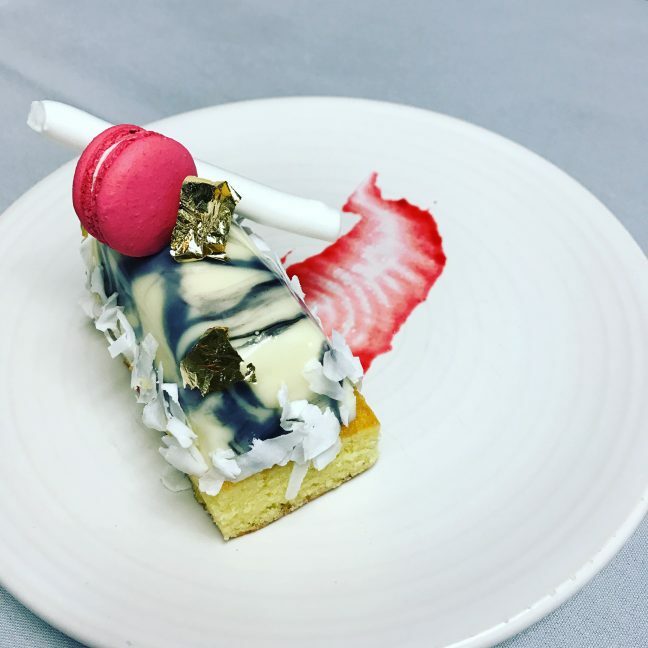 What’s your dream pastry chef job? Oh my! That’s hard! It’s a great question but a difficult one, because six months ago I never would have dreamed that this is where I’d be and the same has been for my whole pastry career. When I started pastry school it was in the middle of the cupcake craze and I thought, “I want to own my own cupcake shop!” and then I went to school and learned all these new things – and as I experienced different things I tried to stay open and take opportunities as they come. I like to say yes and figure out the details as they come – which has served me well. And now, a special recipe from Kate herself for Banana Pecan Muffins! 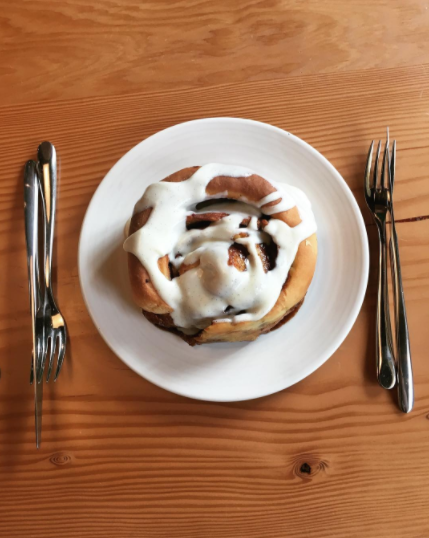 You can find Kate’s creations at Scout PNW – open for breakfast, lunch, and dinner as well as weekend brunch – menu and reservations can be found online at scoutpnw.com.